Congratulations! 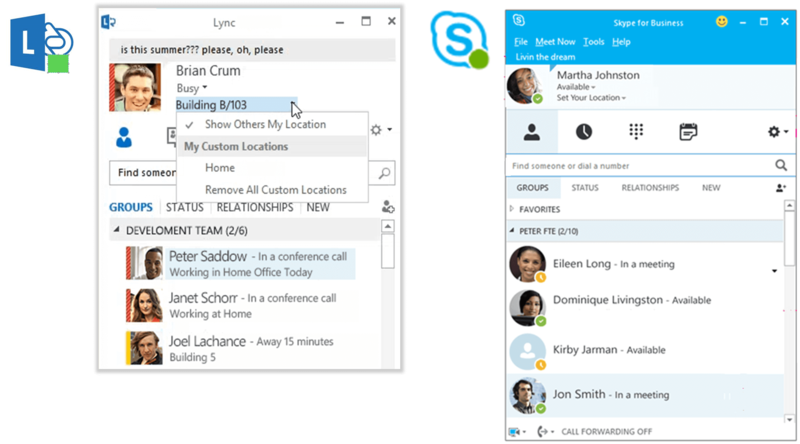 If you’re reading this, then your organization is transitioning from Lync to Skype for Business. Here’s the most important thing you need to know: while the user interface is very much improved, the feature set is basically the same. You can still use text chat, video chat, screen sharing, group meetings, and all the other essential Lync tools that make collaboration so much easier. And it only takes a few moments to learn the new UI. As you can see, the layout for Skype for Business has been given a face-lift. The color palette now matches Skype’s traditional blue and grey, and the contact icons have been rounded. The tab menus have also been updated slightly. Perhaps the biggest change you’ll have is seeing the new Skype icon tagged to toolbars, rather than the Lync icon. 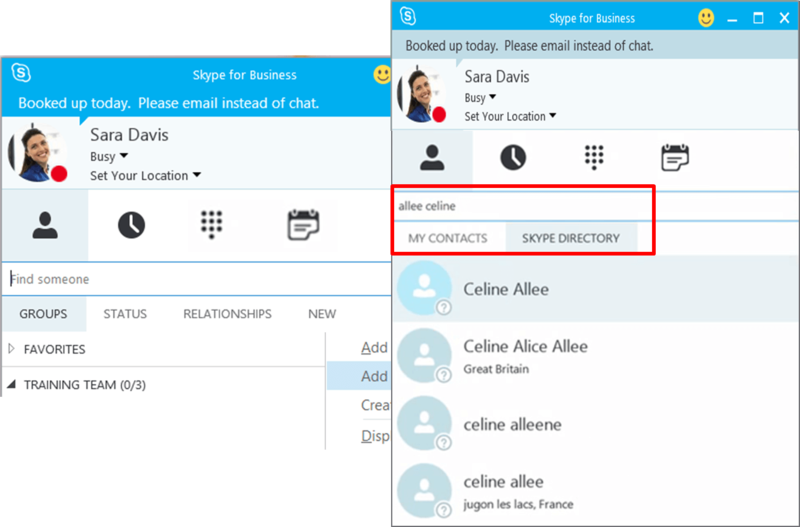 One new feature you should know about is the integration of the Skype consumer directory search. This feature, labeled “Skype Directory”, allows you to communicate with Skype consumer accounts. The integration of Skype consumer directory search, makes it far easier for you to collaborate with customers, partners and suppliers. If this feature is enabled, then you can add consumer Skype contacts and connect with them once the contact request is accepted. Please note: ask your administrator if “consumer Skype federation”, as it’s called, is enabled. Many businesses choose to keep it disabled for security reasons. 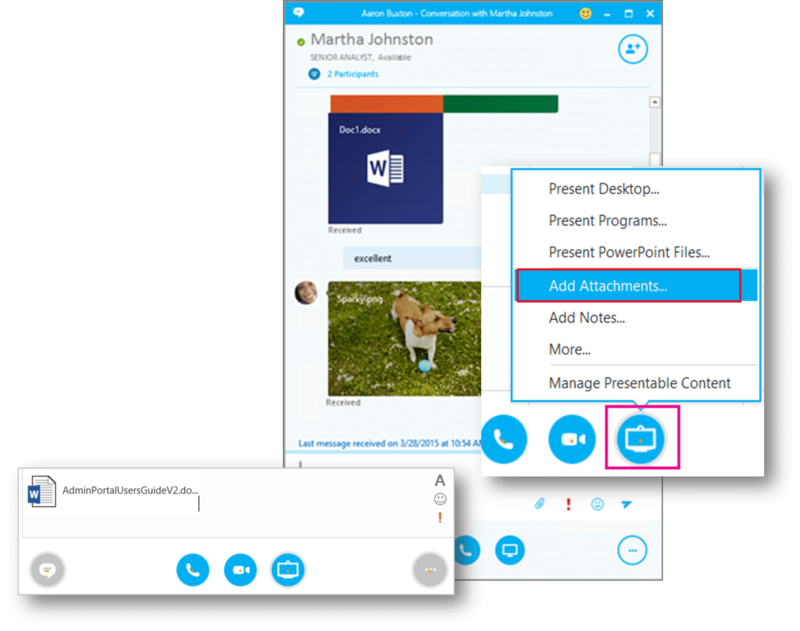 File transfer preview adds additional functionality to Skype for Business. With file transfer preview, you can easily download, forward, preview or delete files sent during an IM session. You can use the content menu or drag and drop directly into the chat area. To use this feature, just right-click or tap-and-hold to preview file details before downloading, including file title, type and size. This makes it much easier to see what is being transferred. Other than that, there are a small number of new features, including the ability to paste unformatted text into the chat box and a new set of emojis. Prior to the introduction of Skype for Business, you may have only considered Skype as a consumer tool—perfect for video chat with Grandma, but not necessarily suited for executive video conferencing. If you are worried about security, it’s important to note that, underneath the hood, Skype for Business is nearly identical to Lync. This isn’t to underplay the change in UI—which is a big leap forward—but rather to assure you that Skype for Business retains the same enterprise-grade security that has always had. It’s effectively the same software, hosted in the same datacenters, running on the same best-of-breed equipment, and backed by the same protection and controls as it always has been. If you have any more questions about Skype for Business, please contact your administrator! Or learn more about Skype for Business. What is "Autodiscover"—and why do I need it?